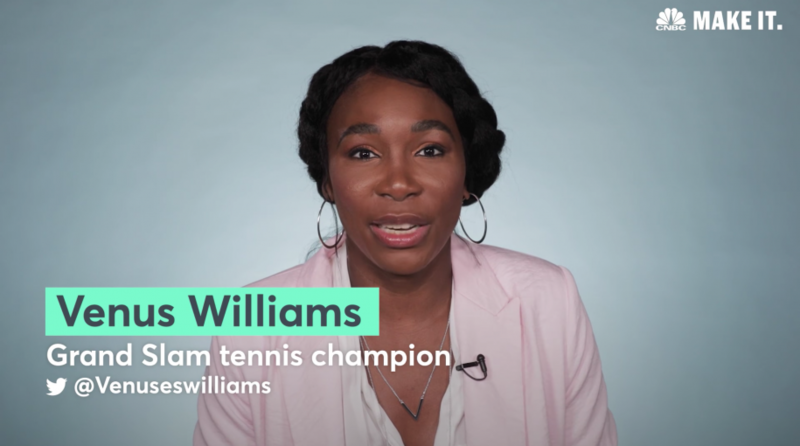 Legendary tennis player Venus Williams, since capturing her first Wimbledon title in 2000, has won six more Grand Slam singles titles, accumulating almost $41 million in prize money. But even though the she made considerable financial success, the pro tennis player warns against wasteful spending. Williams tells CNBC’s “Make It” that her first major paycheck of £430,000 after winning Wimbledon in 2000 went straight into the bank. “I didn’t spend any of it,” she says. Williams’ philosophy of saving money is similar to that of NBA legend Shaqille O’Neal, who advises young athletes to be financially savvy with their money. “I tell them this money is not going to last forever. You’ve got to save it, you’ve got to invest it, and you’ve got to be smart,” Shaq tells CNBC. For more trending video stories, visit our video category.